Morningside Tennis Centre is a 12 court facility located in Brisbane. It is home to 1500 members, over 500 regular coaching students each week, more than 50 competition teams and 100+ social tennis players. 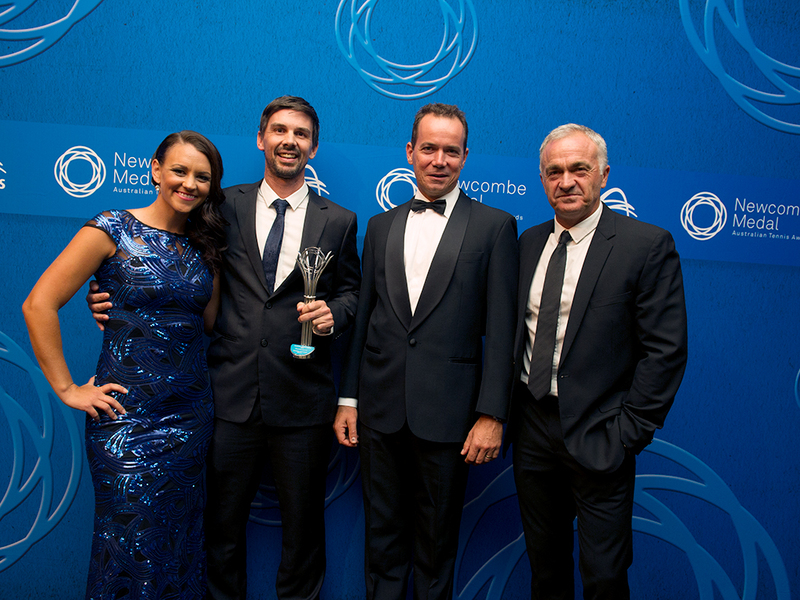 Congratulations on winning the prestigious Newcombe Medal Award for 2014 Most Outstanding Club. This is a fantastic achievement. What does the award mean to you, the club and the community? Rob: It means a lot! While you don’t set out to try and win these awards it’s fantastic to get some recognition for all of the work we’ve put in and the success we’ve had at the centre. I think all of the club members will get a kick out of knowing they play at the number one club in Australia! What’s unique about Morningside Tennis Centre? 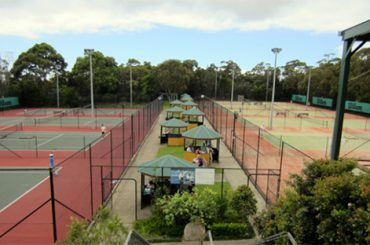 Rob: The Morningside Tennis Centre is unique because it is one of the few tennis clubs in Australia that is owned by a committee-ran club and managed by a professional operator. There are very few examples of this elsewhere and even fewer examples of it being successful. We hope that in the future this will be seen as a model for what is possible when tennis clubs and professional operators work together. The centre has gone from having just 130 members 2012 to nearly 1600 in 2014, that’s an impressive transformation! Can you walk us through the transformation process? What was put in place to achieve this growth? What have contributed to the success? Rob: A couple of things. 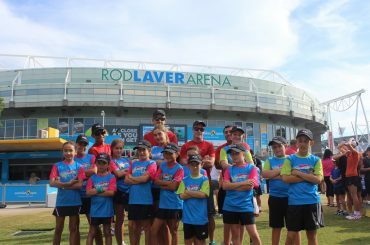 Firstly when Tennis Gear took over the operation of the centre we put our focus on what we saw as the two key elements to building a good business base – Hot Shots tennis (kids aged 4 to 10) and court hire. We wanted to get as many people using and enjoying the facility as possible to start with and have that filter into other areas of the club. Secondly, in 2014 we dropped the membership fee to just $12. While Morningside TC is still a ‘pay to play’ venue we found that making the membership fee a small amount made it a no-brainer for people who played at the club to become members. This was extraordinarily successful and has also made our membership truly reflective of who uses the facility, which many other ‘pay to play’ venues do not have. Why do you think players come to MTC? What do they like about it? Rob: Hopefully the people! We have a great team, our coaches and staff do a brilliant job and they try to make everyone’s tennis experience as enjoyable as possible. Secondly, the great facilities. Morningside has 12 great courts plus 6 Hot Shots specific courts for the kids, a playground, a great little cafe and an extensive pro-shop. It’s a nice place to play some tennis! Tell me about your role at MTC? Rob: I’m the General Manager of the club. My job is to look after all of the programs – coaching, fixtures, court hire, retail, social tennis, etc. and make sure they’re all running well and trying to see what areas we can improve upon. I should add I’m extremely lucky to be surrounded by a fantastic team including our Assistant Manager Benita Smith who does an amazing job and our Head Coaches Ross Orford and Paul Gibson who are two of the best around. 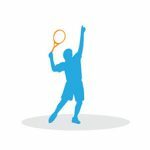 We also receive great support from the rest of the Tennis Gear team, namely the owner Mark Bloomfield, and the QCLTA Committee who get behind all of our events and programs. Rob: Fortunately, just about everything! Our Hot Shots program is something we’re particularly proud of, we’ve had over 500 kids come through the program this year and hope that number can continue to grow. I’m a strong believer that if you have a big participation base that you can achieve a lot in terms of player development so hopefully that will be something you’ll see more from over the next few years at our centre. Rob: There’s always plenty. As you can see from our figures we’ve grown very, very quickly – this makes it difficult to keep up with staffing, particularly coaches. However I’d like to think we’re through the hard part and now have an outstanding team in place that can handle any sort of growth. Rob: We’re hoping for a lot more of the same! We’d like to continue growing in all areas of the business however if I had to narrow down on a couple it would be our Adult Programs (coaching, cardio tennis, social tennis, club tennis, etc.) and tournaments. 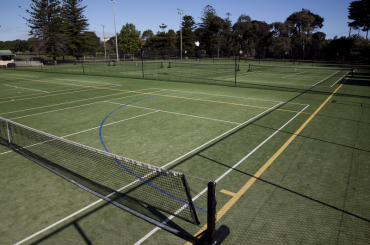 By the end of 2015 I’d like the Morningside Tennis Centre to be home to some larger tournaments and events.